During one of those endless Web searches the other day, I ran across one of Those Little Things I Never Knew – the origin of the “splat” symbol on the Mac keyboard, officially known as the Command (cmd) key. Check out the little barb at the end of the article – it must have been written during the Dark Times. According to this page, “Its oldest name is ‘cross of St. Hannes,’ but it occurs in pre-Christian Viking art as a decorative motif. Throughout Scandinavia today the road agencies use it to mark sites of historical interest.” Do we have any Scandinavian readers – or Scandinavian tourists, for that matter – who can verify this? 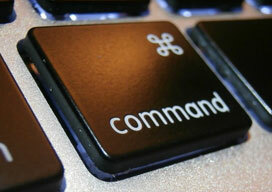 For the answer to this question, see More on the History of Apple’s Command Key. It goes on to say that in some Apple documentation it is referred to as the “interesting feature” key for this reason. Old-time Apple II users will note that even on modern Macs, such as the iBook I am using to type this article, there is an Apple symbol on the same key. Beginners sometimes call this the Apple key for this reason. Old-timers call it the open-Apple key, because on the old Apple II there was a dark Apple key (closed Apple) and an outline Apple key (open). Eventually the second one was dropped. You never know what you’ll learn just surfing around. And now on to the fantasy portion of our program…. Since the symbol has no end, it could be called the Infinite Loop in reference to Apple’s street address. 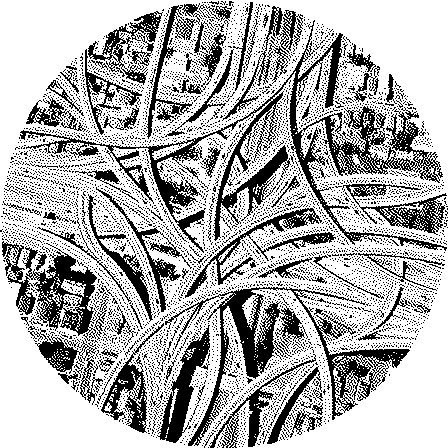 It resembles the MacArthur Maze, a lovely twisty little freeway intersection where the freeways are all alike near the Oakland side of the Bay Bridge leading to San Francisco. Hammer throw makes sense if you think of a glowing hammer thrown by an angry Scandinavian at night. There’s a whole list on Quinn Bag of Bits.